WATERLOO, Iowa – The life of a professional golfer might look like a glorious one. What could be more fun than playing golf for a living? It sounds terrific for the weekend warriors who get out once a week, put five or ten bucks on the line against their buddies and get a few hours away from the rigors of life. And for those who make it to the PGA Tour, there are many spoils. Courtesy cars, golf manufacturers giving you any equipment you need, huge purses to play for, sponsorship opportunities galore and the fame of being on the biggest stage of the sport, just for a start. 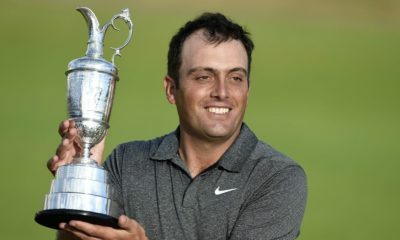 And it’s that opportunity for fame and fortune that causes hundreds to try their hand at the next level of golf, to try to make that big-time. 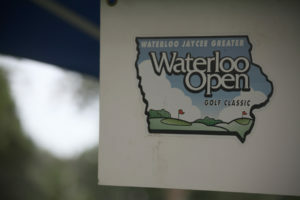 Many end up at stops like the Waterloo Open, an annual midsummer event that brings professional golf to Iowa. While these guys aren’t playing in front of huge crowds and millions watching The Open Championship worldwide this same week, they still really know what they’re doing on a golf course. Edward Loar has been there. He’s won tournaments all over the world while playing in 28 countries on nine different professional tours. He’s played the PGA Tour and Web.com Tour. At age 39, he’s still out here battling. Most of this week’s field is younger, some by quite a lot. His advice to the whippersnappers looking to break into professional golf? “Don’t do it. Go get a job,” he says, mostly not kidding. 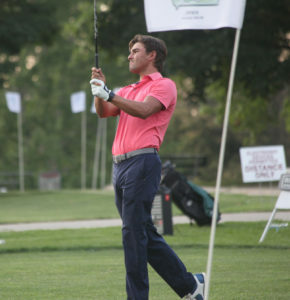 Loar is in Waterloo this week seeking to play well and hopefully leave town with the $50,000 first prize – a good amount for an event at this level of professional golf. Perhaps more than anything, he’s chasing a dream he thinks isn’t far from his grasp. “I’m always believing that I’m still good enough,” he says. “The last couple of years have been a bit of a struggle. But I know I still am good enough to get there and do it. In the late 1990s, the lefty was part of one of the best college programs in America at Oklahoma State. In his last year, the Cowboys won the 2000 national championship, propelled by Loar, a four-time All-American as a collegian. That team also included longtime PGA Tour pro Charles Howell III, who won that year’s individual championship as part of a deep and talented roster. Loar spent the 2012 and 2014 seasons on the PGA Tour and has been off and on the Web.com Tour for a decade, collecting two wins on that circuit. 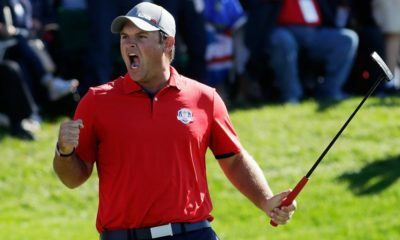 He ultimately wasn’t able to keep his card last season, which means he’s a regular in Monday qualifying tournaments for both of those tours. Loar’s laid-back attitude seems to help a lot with the grind. He has plenty of interaction with fans (affectionately known as the #LoarLoonies) and almost anyone as one of the best golf follows on social media (@bigeinbigd on Twitter). And he says the support of his backers but most of all his family, his wife Melaney and young triplet children, is essential. It’s a week for low scoring in Waterloo. 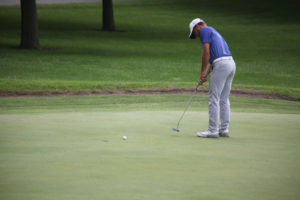 Rains during Friday’s first round and overnight Friday and early Saturday have softened up the course and made for excellent scoring conditions on a course that’s already short by professional standards. How low are guys going? Shoot rounds of 68, 68 and finish 8-under par and it earns you what Loar calls a “trunk slammer” – as in, you throw the clubs back in the trunk and head on down the road to your next tournament because you missed the cut. Take the story of pro Steven Friesen. His final five holes Saturday include two birdies and a rare double eagle – a 2 on a par 5. All that does is get him to a total of 4-under for his two rounds and no paycheck for the week with the missed cut. This tournament is lauded as quite a good one as independent professional tournaments go. It’s not affiliated with any professional tour or the PGA but has a rich history dating back to 1934. 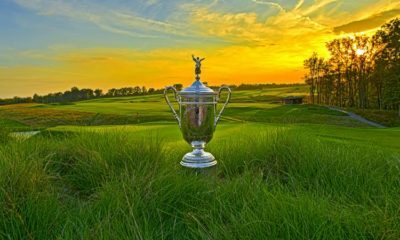 Its roster of former champions includes ex-British Open champ Tom Lehman (1986) and former PGA Tour winners like Jerry Barber (1951 and 1952), Frank Beard (1967) and Tom Sieckmann (1980). Iowa native Zach Johnson played but never won in Waterloo but since is a two-time major championship winner. He played the event not long before breaking through to win the 2007 Masters. One interesting aspect of the event is a separate division for amateur players. After the cut is made, Sunday’s final round features professionals and the top amateurs competing together on the same course from the same tee boxes. It’s a unique opportunity for elite amateur players to get to test their skills against professionals. Carson and Alex Schaake are practically celebrities in Waterloo. Born in the city before moving with their family at young ages to the Omaha area, they still have many family members that reside in Waterloo. Carson, the older brother, just finished his senior year at the University of Iowa, while Alex was a freshman for the Hawkeyes’ golf team last season. They’re both in the field in Waterloo, Alex as part of the 190-player amateur field and Carson making his professional debut. As hard as this new life is, the very first chapter of it is amazing for Carson. 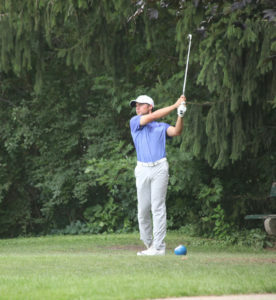 Playing the Irv Warren Memorial Golf Course he knows so well as a two-time amateur division winner, Schaake makes nine birdies and shoots a round of 63, leaving him tied for 2nd place after the first day. He follows that up with a 68 and makes the cut, assuring his first paycheck for playing golf. It’s not all easy, as at one point on this day, the game literally has brought him to his knees, as he has to escape from under a bush with a shot played kneeling. He rises after the shot and looks down at his stained pant legs. “Sorry, Mom,” he shrugs to his mother, one of the assembled gallery of family members. This week, Carson has plenty of family on hand, but many weeks in his professional future it may just be him, fighting to find his way through qualifying tournaments or make one last putt to make a cut. It’s already a different feeling playing as a professional as opposed to just for personal or school pride. “It’s a little different, knowing you’re playing for money now,” he says. “It’s a different platform I’ve stepped up on. But you have to feel like you belong out here. Many of his best competitions have come against Alex, a big hitter with maturity and poise well beyond his age. The 19-year-old won the 2016 Nebraska State Amateur and has competed nationwide in big junior events for years. But it seems few days on the golf course are more intense than when he gets to square off against his older brother. “Yeah, we’ve had a lot of good battles, even when it’s just the two of us out there and nobody is around,” Alex says. Alex also makes the amateur cut and the Schaakes play the final round two groups apart, followed again by many family members and supporters. Carson has a solid day, shooting 70 to tie for 13th in the professional tournament. That first paycheck of hopefully many adds up to $2,479.17. But his younger brother steals the show. Alex’s 7-under par 65 matches the low round shot by either an amateur or a professional player on the day, and he rallies from four shots behind to join his brother as a champion of the amateur event. Austin Quick finishes the week at 22-under par and is a two-shot winner in the professional tournament. The first prize is a good one to help keep the dream going a little longer for the 24-year-old pro from Phoenix. 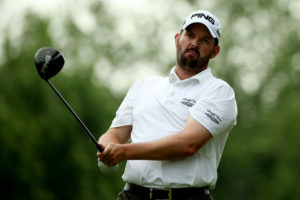 And it’s much needed momentum, as Quick had missed the cut in all 10 of his starts this year between starts on the Web.Com Tour, PGA Tour Canada and PGA Tour Latinoamerica. Loar shoots three consecutive rounds of 67, which this week only is good for a tie for 19th. The next day, he shoots yet another 67 at a Web.com Monday qualifier in Kansas City, two shots too high to make that field. Nitties also ties for 19th in Waterloo and then comes up short in the Web.com qualifier as well. He and Loar both finish their weeks competing on the Adams Pro Tour in its stop in Manhattan, Kan.
One piece of advice Loar has for young pros is finding a regular place to play, like the Adams Tour provides. While the potential earnings can be greater, only 12 players advance through Web.com Monday qualifiers and just four from similar PGA Tour events so stops on tours like this give players more competitive rounds. It’ll be more of the same as the summer starts to wind down for these golfers, hitting the road around America from stop to stop. Well, except maybe for Nitties, a native of Melbourne, Australia, who will be headed home soon as the Australian Tour gets ready to ramp up. Nitties speaks as he carries his own bag out to the car and gets ready for his next drive. Across the lot, another pro loads up his car on a humid summer afternoon, a half-dozen or so shirts and pairs of pants hanging from the car ceiling above the back seat. It’s a visual example of this home away from home for many weeks and months for players chasing the golf dream, trying to get that big break. Perhaps it will be right around the next corner.